This was the first session of a profound level campaign featuring Mount Zun sect. This was a short one-player session. My computer is in the shop, so this is written on an iPad, which caused a number of formatting issues. I apology for any of these and for any typos. Zhaofeng Yu was summoned to the hall of Sunan to meet with the Immortal Master, Gaozi. Gaozi told him they had received an emergency message from Heiping Temple, human allies in the Banyan region. Heiping Temple controlled a lake valley and fishing village but recently something had gone wrong. Gaozi was not clear on the details but asked Yu to look into the matter. When Yu arrived he found a village in complete darkness and not illuminated by candles or lamps. Approaching the fishing village he saw dozens of Jiangshi (hopping vampires) crowding around a house. Taking out a paper Fu Talisman of Friendly Disposition, he slapped it on one of the Jianghsi's foreheads and led it to the forest. He asked to for information. "Blood! Blood!" It replied. Thinking that feeding it might get the creature to talk, Yu hunted in the woods and caught a small rabbit, which he fed to it. He asked the creature for information again. "Blood! Blood!" It respond. Realizing this approach would not work, Yu went to the woods and hunted for bigger game, finding a bear and killing it. He brought it out and dropped it before the group of Jiangshi surrounding a house. When they moved to feed on it, he helped the woman inside to escape. He asked her to take him to Heiping Temple but when they got there they discovered it was surrounded by hundreds of Jiangshi. He asked if there was another entrance eand the woman said there was a rear mountain entrance about half a day away. They travelled to the other side of the cliffs and climbed to a narrow entrance with a locked doorway, which the woman pick open. This led to a long tunnel filled with traps (which Yu was able to spot and avoid) and finally to another door, with sounds of conversation coming from the other side. Yu knocked on the door and announced he was sent from Mount Zun. A woman opened the door revealing a hall with members of Heiping Sect crowded around Queen Lu Zhi (their leader). He spoke with them and learned that the events had started four days earlier after a star fell from heaven into the Liyu Lake. Then the dead rose as Jiangshi but many of the living turned into them as well. out to the Lake's center. Looking into the waters they saw a green glow coming from the floor of the lake. As they did so, a mammoth arm-like apengage rose from beneath the surface and attacked. It was formed from a cluster of rotting corpses and it ended in a tooth filled maw rather than a hand. As it attacked, Yu used his tattoo of the water dragon to create an air pocket for him and the Abbess to ride down to the bottom of the lake. The maw crashed through the bubble and missed Yu with its teeth. From here they saw that the arm connected to an amorphous creature resting by the glow. Like the arm itself, the entity was comprised of rotting tissue. Using a Stride Technique, Yu teleported to the glow and, seeing it was a triangular piece of metal radiating light, grabbed it. He then teleported back to the bubble, but the maw struck once again, sending Abbess Pei out into the waters with a sickening crack. Yu retrieved her limp body and surfaced by the shore. With his knowledge of magic and the spirit world, Yu understood that the glow was the source of the havoc in Heiping and realized it needed to be contained to stop the carnage. However the creature from below the lake clambered to the edge of the village and crushed a house. Before it could wreak further devastation Yu slapped a paper Talisman on its flesh and commanded it to stop, which it did. He then used that moment to perform a spirit keeping ritual and contain the energy in the metal triangle. After that he brought the abbess to Queen Lu Zhi, and he returned to Mount Zun with the object. At Mount Zun master Gaozi sealed the triangle in a ball of re energy and told him to secure the triangle in the reliquary. He then told him that the object was a fragment of a spear belonging to Yao Yun, God of the southern sea. After three days of rest, Yu was instructed to take a group of disciples and investigate the Yao Yun Sea. We started our first session of a new Profound Masters campaign for Wandering Heroes of Ogre Gate recently (session log is HERE). All characters in Wandering Heroes of Ogre Gate have power levels expressed in Qi ranks (which span from 1-24). The core rule book is mostly focused on Qi ranks 1-6 (which are the levels that represent the more standard wuxia). 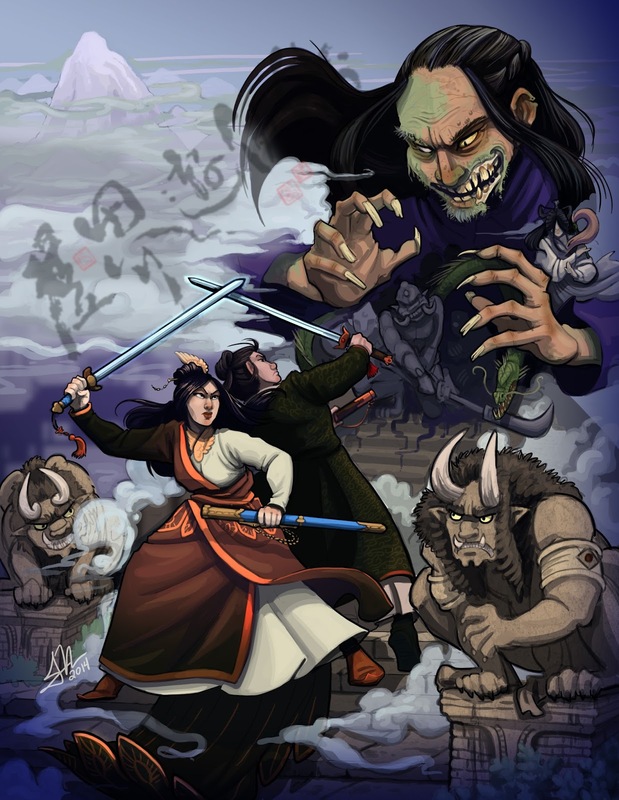 It includes rules on the higher levels (and includes some characters beyond Qi rank 6) but the focus is on wuxia. Ranks 7-24 deal with Profound Masters and Immortals. 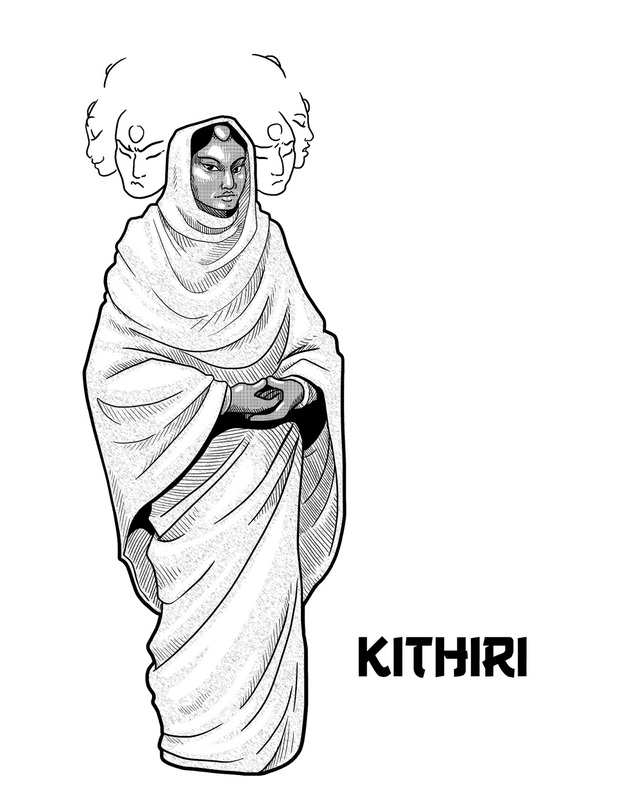 There is more emphasis on fantasy and mythic elements at the higher levels. We are working on a future supplement called Profound Masters of Ogre Gate that will give more robust support for these higher levels and include a lot more setting information on Immortal Sects, locations and magical items. 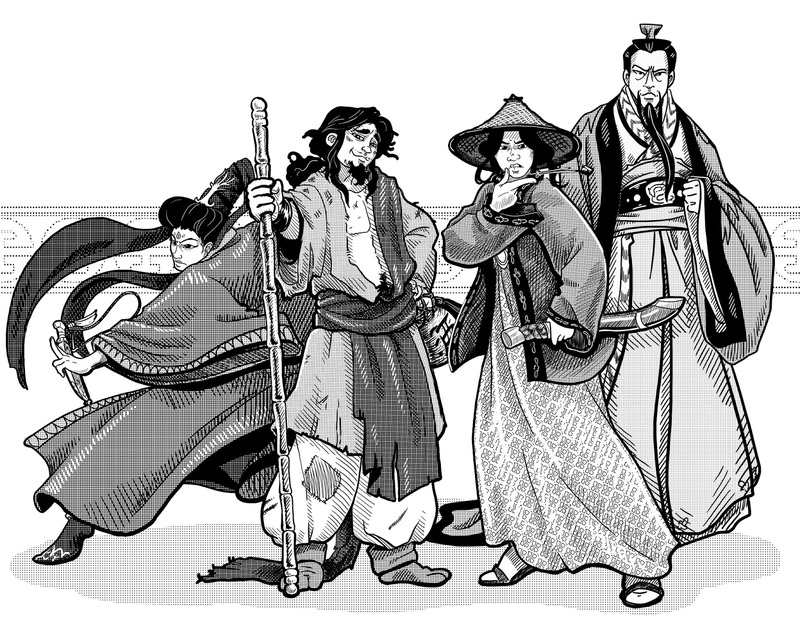 Just to give a bit of context, characters that are Qi rank 1-6 represent the kinds of figures you might see in a typical wuxia movie or drama. 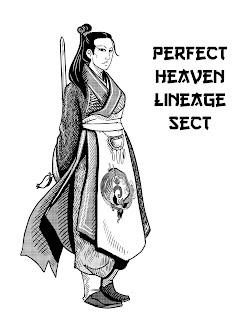 New martial heroes just setting out on their first adventure would be QI rank 1 while a Qi rank 6 character would be one of the few great Kung Fu masters in the world, able to do extraordinary things that border on the supernatural (like summoning phantom swords to slice their foes at a distance). My Secret of Zhe Valley Campaign (most recent session log HERE), is an example of characters advancing from Qi ranks 1-6. Generally speaking if player characters earn full XP every session and the group plays weekly, they should advance to Qi rank 6 in about a year. Characters who reach Qi rank 6, are exceptional in the world. This is pinnacle of earthly Kung Fu and to go beyond it they must achieve some deep insight or learn from powerful groups like Immortals (with the aim of eventually becoming immortals themselves). This naturally means campaigns tend to shift from the realms of mankind to the remote mountain peaks where ancient sects of immortals pass on their secret knowledge or to the dark and dangerous cave realms of the more sinister practitioners of high level Kung Fu. Qi levels take longer and longer to advance in however. Getting to Qi rank 7 is no easy feat. In a standard campaign it can take 2 years or more to reach it. Once players reach this level of power the supernatural elements of the setting, which have always been present, really become obvious to them. In part this is because Qi advancement represents the increasing internal cultivation of the character. So they are simply more aware of their own abilities. Every character has a Karma rating but prior to Qi 7, only the GM knows what everyone's Karma rating is. After Qi rank 7, they can sense their own Karma. Essentially at Qi rank 7, the game starts to emulate martial arts fantasy and myth sources more. Whereas the earlier levels feel more like House of Flying Daggers and Legend of Condor Heroes, the later levels are more like Mount Zu, Journey of Flower and Journey to the West. To emulate some of the tropes in Immortal and Fantasy series, there is a distinction between those on a path to immortality and those on a corruptive path (usually just called Demon Heroes). The basic difference is immortals abide by the principles of Heaven and the Enlightened Goddess. They eschew Evil Techniques and live righteously. 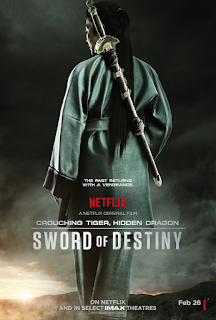 The Demon Heroes will dabble in Evil Kung Fu (often resulting in great changes to their bodies and mind) and in dangerous Qi Rituals (Immortals can use Qi Rituals too but tend to avoid the more nefarious magic). The Profound Masters of Ogre Gate book will a complete listing of new Profound Techniques, Qi Rituals, Celestial Weapons, Evil Techniques, Immortal Powers and Insights, as well as the geography of the immortal world, immortal sects, NPCs, and general clarification of the rules for Profound and Immortal level play. We plan to devote a year of time to completing Profound Masters of Ogre Gate (in the meantime we will release an adventure and PDF setting supplements). I want to develop the book in the course of two live campaigns (this is an approach I just finds works best for us). We do individual playlists too but those really do not find the wrinkles that emerge in the course of a natural campaign. And things that sometimes seem to be a wrinkle in a single isolated playtest, prove not to be so in the context of a regularly meeting game group. This is the first session of a new campaign for Wandering Heroes of Ogre Gate. It is intended to play through the rules we are working on for the the supplement Profound Masters of Ogre Gate (in which player characters advance to the higher levels of Kung Fu and into Immortality). A group of profound masters seeking to join Celestial Heart Sect traveled to Mount Dao in hopes of being given an audience. They were Phiphek, Merciful Shade, Sentimental Ogre, and Joyous Jian. The party had recently come together on the road, having a mutual interest in hunting demons and playing music. Aided by Merciful Shades shadow monkey (a tattoo enchantment that summoned a shadowy monkey guide) they found their way into the mountain. As they hiked up the lower portions of Mount Dao they heard the sounds of battle and saw the occasional glow of profound techniques lighting up the sky. Investigating they found a distraught man, named Little Turtle, who was kneeling at the body of someone who appeared to be his master. The person was clearly dead and had been cleaved by a heavy blade from shoulder to waist. A cart with two wheels and a strange box rested near them. On top of the box was a statue of Supreme Judge Yu. When Phiphek asked what had happened, Little Turtle lost control of his emotions as he described the event. 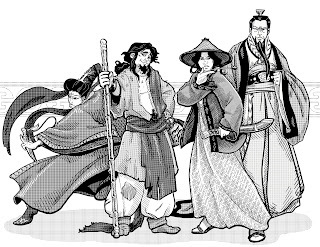 The dead man was his Sifu, Long-Winded Master, and they had been on their way to the city of Tung-On for Little Turtle to perform a final task before being made an official student of Celestial Hear Sect. An enemy of the sect, Marauding Dragon, ambushed them and killed his master with a powerful sword strike. He then laughed at Little Turtle and told him to join Seven Blood Cave Alliance if he wanted to train under a true master. Little Turtle explained that Seven Blood Cave Alliance was an organization of evil sects led by Marauding Dragon (the chief of the supreme sect in the alliance: Marauding Plague Sect). They had a longstanding grudge against Celestial Heart Sect when one of their leaders defected to them. Since then he has hounded high ranking members of Celestial Heart to make examples of them. As Little Turtle was talking, the statue began to whirl and pointed fiercely at Phiphek. The statue could detect demons and Little Turtle demanded answers from Phiphek, who explained that he travelled with a fox demon and that he himself may have acquired some demonic essence. When the statue calmed, indicating that Phiphek and Mei Yun were probably not evil, Little Turtle resumed the discussion and brought them some tea from inside his cart. He said that his master had received a message from Headman Ma Lin of the city of Tung-on, who reported murders and the possible presence of demons (three victims so far with hearts plucked from their chest). The message mentioned concern for the local magistrate, whose wife had died a few months ago in child birth. Headman Ma Lin suspected there was a curse that connected the death with the murders. As his master had instructed him to find worthy students to join the sect, Little Turtle invited them to come with him to Tung-on, and said he would try to get them an audience at Celestial Heart Sect afterwards. Before leaving, Sentimental Ogre performed a spirit keeping ritual on Long-Winded Master. To his surprise the body dissipated into luminous sparks of light that ascended to the sky, leaving behind only a small fragment of bone (which Little Turtle kept). They approached the city of Tung-on and reached it in a day after traveling across plains. Crossing a large canal they found a city of 70,000 with signs of heavy trade. On their arrival, Little Turtle's cart statue of Supreme Judge Yu began to whirl without stop. This continued for the remainder of their time in the city and indicated that something was interfering with its magic. Going to Headman Ma Lin's residence they learned that he had died, murdered the previous evening at the hour of the Phoenix. His wife said he mentioned something about going to the outskirts of the city, but never came home. She confirmed that there were three victims, and informed them that one of them, Daibo, was their own servant who Headman Ma Lin had sent out on an assignment (he too died before he could finish). They decided to go to the local inspectors office and met with Inspector Zhunxun Shi, who was clearly at his wits end. He told them that not only had Headman Ma Lin been killed the previous night, but at the same time, Master Kuo, a local wheat merchant had also been killed. 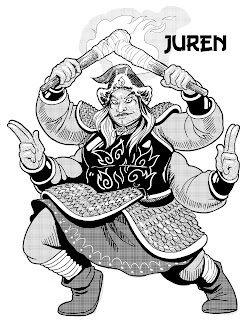 Ma Lin was found near a large watercock called the Tower of the Dragon Empress while Master Kuo had been found in his own home. They were told that he found a book on demons in Master Kuo's possession and that Master Kuo had recently sold a very expensive sword to Magistrate Ouyang Chengda. They were able to look at the bodies. Headman Ma Lin had his heart ripped out. Examining them the party suspected bird demons of some kind due to the claw marks. Master Kuo had merely had his throat ripped open and bled to death, but the claw marks were the same. Learning that the inspector had a witness, a beggar named Di Yaozu, held in a cell below, they went and spoke with the man. Di Yaozu was shaken but calming by the time the party arrived. He told them that he had been to a tomb outside the city with Headman Ma Lin (and that Headman Ma Lin had paid him 200 spades to assist him in the matter). The Headman looked like he was going to attempt to enter the tomb, but turned back and the two headed home. However as they were passing the Tower of the Dragon Empress, a giant creature "Like a dragon and an owl in one" swooped down and killed Headman Ma Lin. While Phiphek, Joyous Jian and Merciful Shade dealt with the inspector, Little Turtle and Sentimental Ogre went to the residence of Magistrate Ouyang Chengda. After an introduction they offered their services protecting him, and he agreed to let them stay at his home. They learned he had a young baby and had indeed been married but his wife died in child birth. The party got Di Yaozu released from his cell and he took them to the tombs to show them which one the Headman had been looking at. There they found a tomb dedicated to Shanhu wife of Ouyang Chengda. The epitaph explained she was once a martial hero but put down her sword when she married Chengda, vowing to only use it to defend the city or her family. Little Turtle lifted the stone door to the tomb and Merciful Shade walked inside. When she reached the lower level, she heard a sound and looked up to see a strange woman on the ceiling. The lady opened her mouth and black smoke filtered down to engulf Merciful Shade, filling her lungs with a cold and painful sensation (and doing tremendous damage as it did so). Phiphek used a fanning technique to disperse the smoke and the party rushed down to help. The creature appeared to be a phoenix ghost (something that occurs when there is a disruption between the Dragon and Phoenix spirits of the body). Little Turtle smashed her with his meteor hammer,bringing her to the ground. Sentimental Ogre leapt forward and whirled through the air, using his four arms to whack her again and again with maces. The ghost made another attack with her smoke, but this time Merciful Shade used Deflecting Canopy to protect the party. Eventually they stopped her with a combination of attacks and found that she had a glowing coin medallion on her neck. One side had the characters for "Seven Blood Cave Alliance", and the other had the character for "Dragon". The party returned to the residence of Magistrate Chengda, finding the inspector there as well. Inspector Shi told them that he forgot to mention that both murders the previous night had occurred at exactly the same time, the moment of the Phoenix Hour. Phiphek and Merciful Shade went to Magistrate's chamber to inspect the area and the child. They found a room filled with antique swords, one of which was truly exceptional: The Sword of Time. Phiphek found a box beneath the bed with several seals belonging to the Seven Blood Cave Alliance. The child seemed healthy and without any visible signs of having a demonic nature. They asked Magistrate Chengda about the sword he bought. He explained he had purchased it from Master Kuo (who he believed had sold it in order to gain his favor). Master Kuo had originally bought it from the Yao Family Pawn Broker Shop in the south of the city. Noting that the Hour of the Phoenix was five hours away, they went to the Yao Family Pawn Broker Shop to ask Mr. Yao about the sword. He explained what he could. Little Turtle found a book on demons and purchased it. Mr. Yao expressed concern that the sword was related to the murder (since Master Kuo had had it before being killed). They offered to take Mr. Yao and his family (he had a wife and baby) with them to the magistrates house. Arriving at the magistrates before the Phoenix Hour, they decided to place Magistrate Changda, his son, Mr. Yao and his family, into a single room for the duration of the Phoenix Hour. Phiphek asked Mei Yun to help and create a ward on the door. 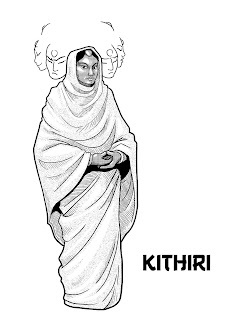 She changed from her fox form into a humanoid form and made a seal of the thunder goddess above the doorway (any trying to pass would be struck by lightning). The seal kept in the family, Little Turtle and Joyous Jian (who joined them) and kept out any intruders, as well as the rest of the party. Sentimental Ogre stood guard before the door, while Phiphek and Merciful Shade patrolled the outside. They spotted something large fly into the residence and gave pursuit. They arrived to find a massive blue and red bird-like creature with a razor beak and burning eyes storm toward Sentimental Ogre. Joyous Jian risked the lightning and rushed through the doorframe, using a technique to channel the lightnings energy. As he came through the bird demon breathed fire on him, causing his body to erupt in flames. Phiphek immediately put the fire out with the same fanning technique he'd used before. The party fought with the creature and eventually, after Sentimental Ogre had hurt it severely with his maces, Merciful Shade was able to use Blazing Net to ensnare it then draw it into an orb around her neck. They were able to speak to the bird demon through the orb and do a kind of interrogation. It desperately wanted to come out and said it would be good if they freed it. Unmoved Merciful Shade demanded information and asked why it attacked the residence. Calling itself Blue Kingfisher it said it was here "for the baby from the records" and that it had been looking for "the wife". Pressed further it eventually revealed its master was Marauding Dragon and that it was here with more demons to find the baby and the wife (of the master). It claimed that the child was Marauding Dragon's, not Magistrate Chengdu's. It also revealed it knew why Little Turtle's cart was not working and where the other demons were. It offered to give them this information if they freed it. Phiphek used Thoughts Bloom into One-Thousand Petals to create an illusion in the mind of the Bird Demon that it was being released. As they did so it revealed that the demons were in the sewers and were using a Demon Stone to interfere with the cart's detection abilities. I just want to give people an update on the progress of Wandering Heroes of Ogre Gate and the Bedrock Blog. I've been a bit silent here for a while, except for the regular postings of Wandering Heroes campaign logs. This is because I am working on a number of support products for Wandering Heroes of Ogre Gate. I've also been volunteering at Viki.com to edit the English subs of Dramas like Journey of Flower and Legend of Zu. Hopefully I will be back to posting more regularly once all this quiets down. Speaking of Ogre Gate, presently it looks like we will be ready for layout at the end of this month. This is tentative but I am optimistic. I do realize this is taking longer than we initially anticipated but I'd much rather we take the time to get this right than release it in a rush. We made a conscious choice a couple of years back to put more of a premium on quality than on pipeline (and those two things are often in conflict in publishing). Our editor is doing an outstanding job, and I want to make sure he has the time necessary to go over the material. I apologize for those who have been waiting for this release. I promise you that I have been eating, sleeping and thinking about this game non-stop. The manuscript is complete, we are just making sure it is perfect as it can be before publication.